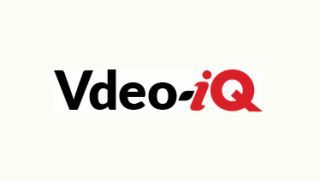 Vdeo-iQ, an expansion of the comprehensive AV-iQ pro AV resource that is designed for the video, broadcast, and entertainment industries, is now open for business at Vdeo-iQ.com. At launch, Vdeo-iQ boasts a database of nearly 100,000 products from more than 300 manufacturers, and these numbers continue to grow. Launch sponsors include Sony, Snell Advanced Media, AJA Video Systems, Exterity, Grass Valley, and Zylight. Vdeo-iQ offers something for everyone in the video, broadcast, and entertainment industries. Members of Vdeo-iQ will be able to take advantage of the product data comparison tool and check out the case studies library for cutting-edge video and broadcast inspiration. Manufacturers will be able to reach industry buyers at a crucial time as they are spec’ing out a project or researching the latest gear prior to purchase. Participating manufacturers agree that the AV-iQ service, now joined by Vdeo-iQ, provides a valuable resource for reaching buyers. For manufacturers, the process of adding products to the site is easy and is free. Simply contact productsupport@vdeo-iq.com and instructions will be provided. Sponsorships are available to gain additional product and branding exposure on Vdeo-iQ.com. Sponsors get the benefit of increased visibility in Vdeo-iQ’s featured products sections, and get first-in-mind presence on related gear searches. Additionally, sponsors can gain additional coverage through Vdeo-iQ’s product update newsletters. By visiting a site that has hundreds of manufacturers’ products and marketing material on it, a user can come to one website to find everything he or she needs. A search on Vdeo-iQ quickly provides all of the relevant information in one location. A user can search the list of companies, find results using a keyword search term, or browse through the comprehensive list of broadcast and video product categories. With all the information at the buyers’ fingertips, they can then choose products to view in a side-by-side comparison tool or place them into project lists. Free registered users of the site can have an account where they can save those projects and add to them later, share them with colleagues or clients, and set a customized list of preferences to make their research as efficient as possible. To start your product search or get more information, visit Vdeo-iQ.com. To include your products on Vdeo-iQ, contact productsupport@vdeo-iq.com. For information on sponsorships, contact Bruce MacIntosh at 212-378-0491 or bmacintosh@nbmedia.com.